One technique that teachers can use to foster this kind of learning environment is called BAWD (Build, Act, Write, or Draw). 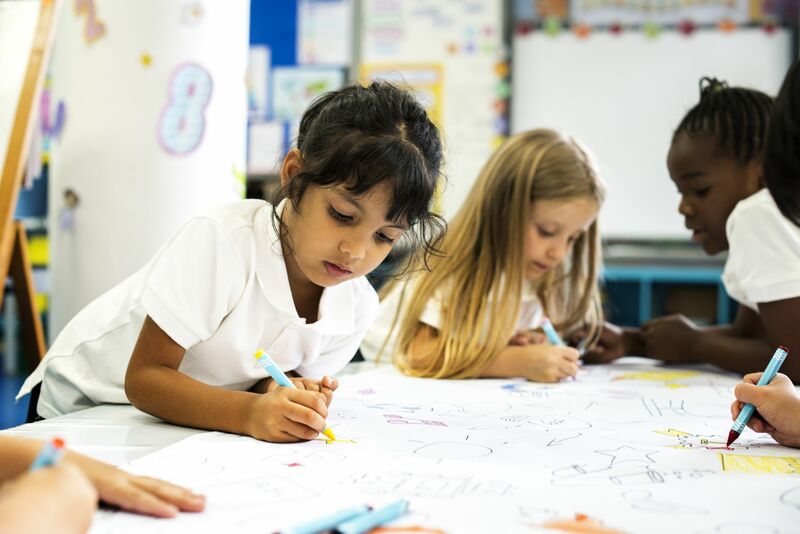 It allows students to demonstrate their understanding of a concept—big or small, abstract or concrete—by choosing how they can best represent it, whether by building a model, acting it out, writing about it, or drawing it. BAWD has a wide variety of applications. It can be used to assess prior knowledge and act as a formative or summative assessment. It is applicable in every content area and can be used with students of any age. Students differ in how they learn and express their knowledge. The purpose of this strategy is to allow students to choose how they show their comprehension of a topic in a creative way. One of us (Neisa) observed this strategy in action in Kristin Downs’ eighth-grade English language arts classroom at Chandler Woods Charter Academy in Belmont, Michigan. Downs learned it in a professional development session over a decade ago, and we have not been able to track down the person who developed it. Prior to using BAWD, make students aware of guidelines—and the fact that this strategy only works if they are respectful of materials and other students. Present your class with the topic (examples below). Let them pick which element of BAWD they will use. Allow your students 10 to 15 minutes to prepare their creation. Give each group one to three minutes to describe or present. You’ll need to leave some time for cleaning up at the end. In our experience, most students tend to choose to build or draw, and only a few students choose writing or acting. Use your discretion in guiding how the students divide, but keep in mind that the ultimate goal is for students to choose how to demonstrate their understanding. Elementary school: In an elementary classroom, students could use BAWD to demonstrate their understanding of photosynthesis. Children might stack books to create an imaginary plant, with the top book open to represent the leaves, which take in light and water. Green crayons could be placed in the crease of the book to symbolize the chlorophyll absorbing the sunlight. Students who choose to act might personify sunlight, water, carbon dioxide, a plant, and oxygen to show the process of photosynthesis. A short paragraph explaining the process might be written by students who prefer to write. Those who choose to draw might create an illustration with images of the sun, water, leaves, and air. Other elementary topics could include bullying, respect, math operations or factors, money, community, and safety. Middle school: In a middle school English class, students’ understanding of point of view can be assessed using BAWD. Builders might turn chairs in different directions and peer through them at different angles, showing a narrator’s point of view. Other learners might create a short skit with the narrator using “I” or “he.” Writers might make a bulleted list of the definitions of point of view or create a found poem from a first-person text from the classroom. Artistically inclined students might create a picture of a narrator with word bubbles describing what characters are doing using first-, second-, or third-person point of view. Other upper elementary and middle school topics include compassion, plot lines, the Pythagorean theorem, and the amendments to the Constitution. High school: In a high school psychology or communications class, students can demonstrate their knowledge of the communication process with BAWD. Some learners might use pencils to build a representation of communication in which erasers model interference in the process. Students who prefer to act might create a skit performing each step of the communication process and possibly some problems that might occur in an ineffective cycle. Other learners might write an example of the communication process using an analogy of a football team with players and moves. Those who choose to draw might draft an image of a dog and owner on a whiteboard. Other topics for high school include oppression, civil rights, geographical warfare, financial literacy, coding, and digital citizenship. BAWD supports English language learners through modeling, collaboration, differentiated environments, and components of the SIOP (Sheltered Instruction Observation Protocol) framework, such as building background and comprehensible input. Also, the BAWD approach integrates various Universal Design for Learning principles through student choice—which not only supports English language learners and students with learning differences, but all learners. Assessing students is necessary, but how students are assessed should be intentional, authentic, and creative. BAWD offers the opportunity for students to learn and express their understanding in a unique and engaging way.